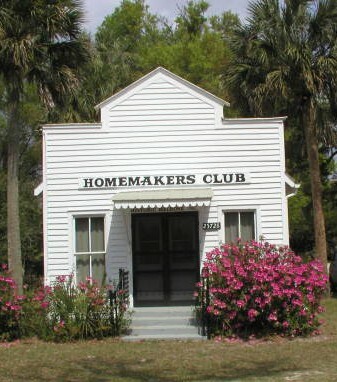 The Melrose Dulcimer Club meets every second Saturday at the historic Melrose Homemaker’s Club building. Our jam includes old-time fiddle tunes, waltzes, and gospel music or whatever happens to be called. The instruments usually played at our jam? Mountain dulcimers (of course), hammered dulcimers, kazoos, harmonicas, guitars, recorders, and occasionally a fiddle. Singing, too! Thanks go to Historic Melrose, Inc (HMI) for allowing us to use their beautiful building! Music Workshops & Jam Tents: Dulcimer jams and workshops with Laurie Alsobrook, Mountain and Hammered Dulcimer with Chris Collins. Lots and lots of dulci-opportunities at WillFest this year – jams, workshops, and performances galore! Dulcimer workshops with Sammye Johnson and the Nature Coast Dulcimer Club, Dulcimer Jams and Shooting Star (youth camp) beginning dulcimer instruction with Laurie Alsobrook, and performances by David Beede with NOWstalgia. Find the FULL SCHEDULE here. What a great festival, enjoyed by nearly 300 people! The Melrose Dulcimer Club was well represented there!! An afternoon with Jim and Cheri Miller! See more photos on the workshops page. An afternoon with Butch Ross! See more photos on workshops page – fun classes; terrific concert! It was a blast…just ask Jean, Kay, or Laurie! A dulcimer tradition in Florida! The 2018 Dulcimer U instructors – what a fun week; full of laughter, sharing, and beautiful music. Kay and Faye showcase their talents at the Open Mic on the final evening. A fun festival in Lancaster, Pennsylvania – featuring Aubrey Atwater & Elwood Donnelly, Butch Ross, Bing Futch, Dave Haas, Nina Zanetti, and Judy House. Interesting format…pay as you go – each workshop was $15, paid directly to the instructor. There was a jam on the Friday evening with two concerts on Saturday; afternoon and evening. June 24-29 – What a group at Kentucky Music Week! Can you find the Melroids? May 25-27 – Fun times at the Florida Folk Festival! Like Melrose Dulcimers on facebook!